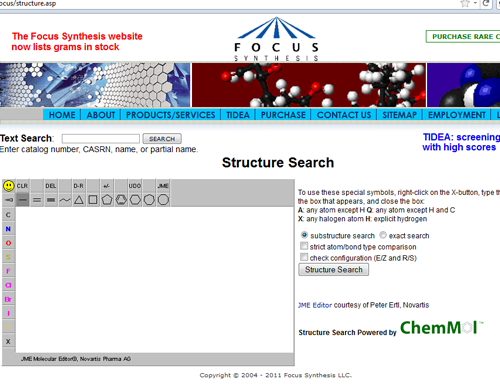 ChemMol.com can provide a chemical structure search engine and database design for your chemical company. 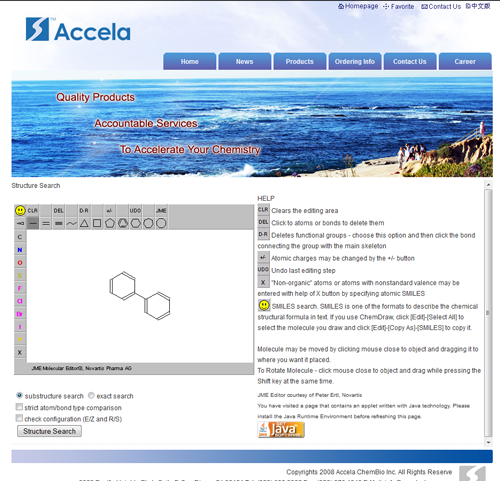 Our powerful search engine capability allows your company�s chemists to quickly and easily query against thousands of chemicals. By using a structural similarity comparison, we can efficiently generate a Structure-Activity-Relationship based purchase list. Feedback from our customers has shown that this feature has boosted both inquiries and sales. 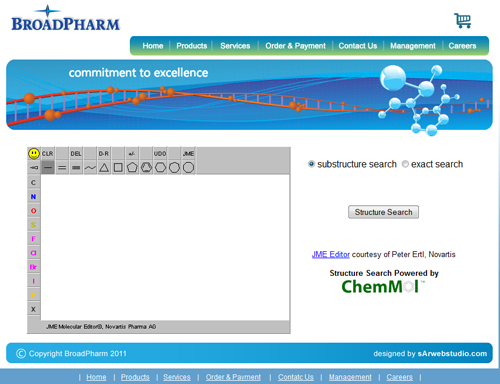 Small and moderate compound suppliers have desired a searchable database, like the one ChemMol.com offers, but have been reluctant to move forward due to exorbitant cost. Because we do not bundle any unnecessary components, our rates for this service are exceptionally practical. Our number one goal is to convert your existing SDF listing into an interactive structure that the chemists in your company will value immensely. This type of search capability is rapidly becoming an industry norm, and no company wants to be left behind. ChemMol.com understands the correlation between these trends and your success. We are determined to help you overcome the technical and cost obstacles and we are confident that we can get your company ahead of the game.